Address labels are attached to items or products which have to be sent to an address. Even if no instructions are given verbally, the address label carries the complete information about the address where the item is required to be sent. Therefore accordingly the Address Labels are assigned. 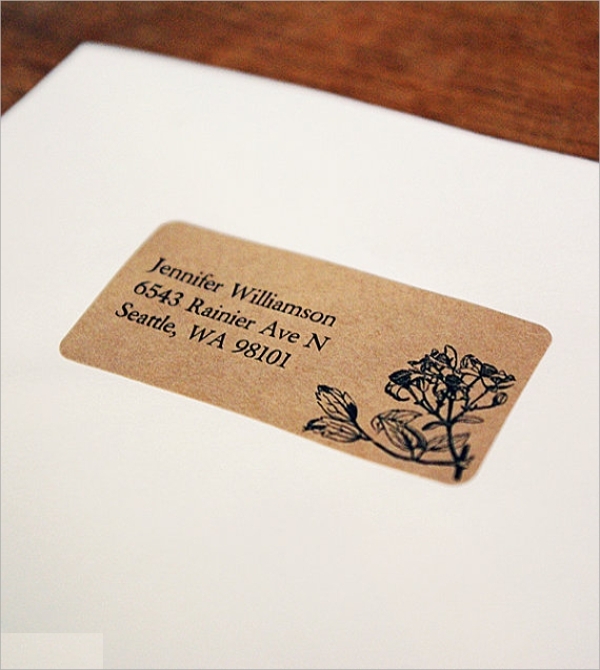 Designer custom address labels can add to special effect and beauty of an invitation, postcard, or gift. 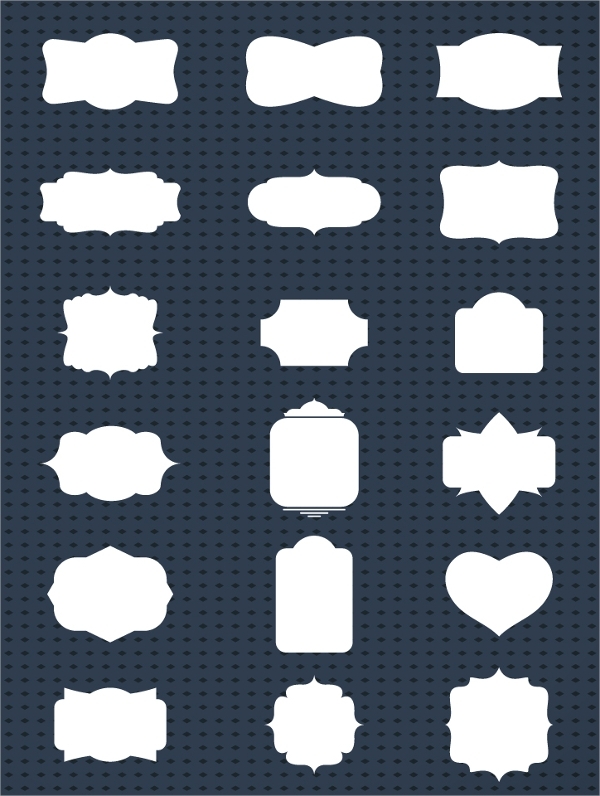 Label Template styles help you in making address labels sooner with attractive designs. The return address label template is what you attach to things to tell where the item has to be returned if in case it’s not delivered to the recipient. Or if it has to be returned for some cause. Therefore the label contains the words “return to” before the address. 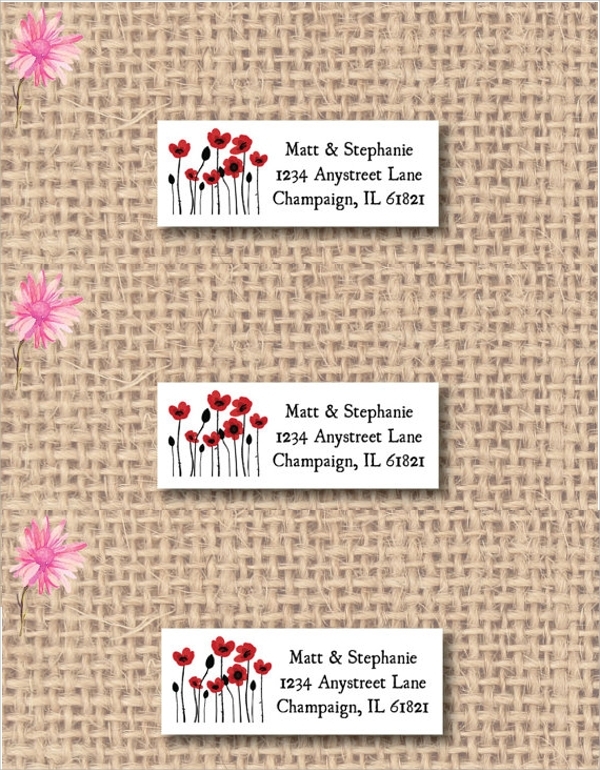 The wedding cards and invitations come with a note or address label stating where the wedding will take place. This typical label style has the tag with the wedding venue with the name of the couple and attaches it to any wedding message, envelope etc, which will tell the guests about the venue. The address label envelope is an envelope that contains the place marked on it to write the address. You may either get the envelope printed directly with the address, or get it printed blank, and later write the address manually. Both ways, the label design on the envelope looks good and catchy. Why Address Labels are used? When you are sending a package to a recipient, the address of the sender has to be mentioned. Hence Sample Address Labels are used. Now if this is an official parcel or from a logistic service then there are no chances that the labels will be designer etc. But if you are solely sending it, then you can always add to the beauty of the parcel with a nice designer label. The label speaks of the sender, and you may use nice designs to mark your choice and rich taste for special occasions, invitation, special themes etc. They are downloadable in customizable or semi-custom designs. What are the Benefits of using Address Labels? The address Labels Templates normally tell the recipient about the source of the parcel, and sometimes about where the parcel has to be sent back in case of dispute etc. But there is more to it. When you are inviting people for a birthday, office party business meet, engagement etc, then you can show off your taste through your choice of the address labels. It helps in branding too as you add the logo, name and tagline of the company on the label along with the address. 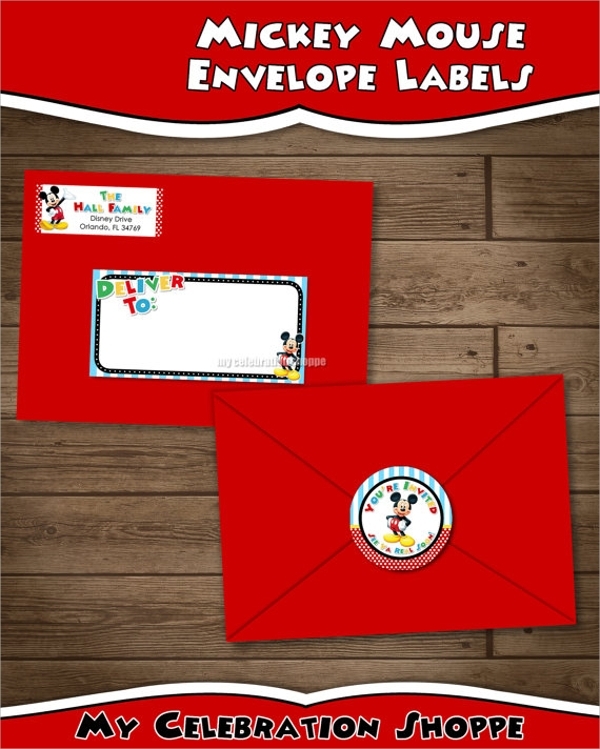 It also establishes a theme to the parcel or envelope etc with some color and design like vintage style, cartoon kids style, or romantic floral style etc. How to use the Address Labels? 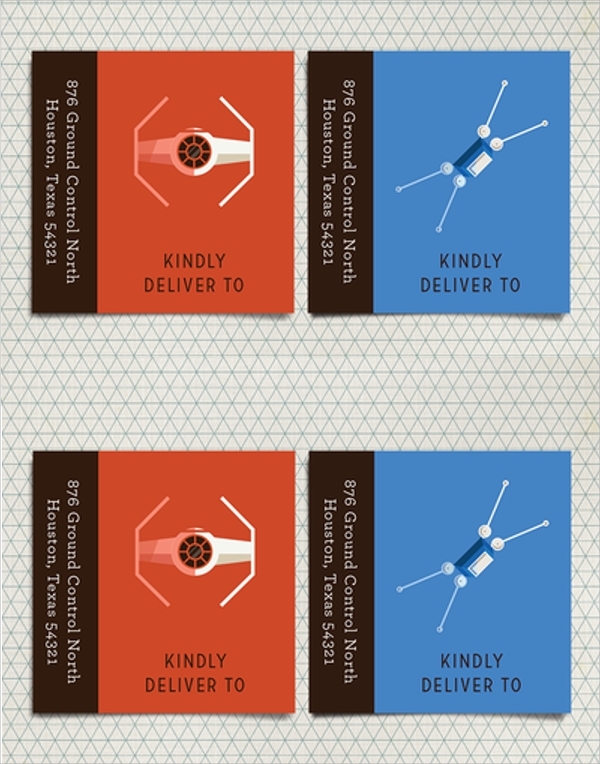 Not all address labels are printable, and some may have to be ordered. Not all labels are free too, and they come with a small fee. Therefore in case of address Label Templates the main concept is to choose the label you find out for your purpose. If you are looking for something simple, you can choose from various styles of return labels, or customizable labels where you may add words like “from” and “to” etc. Else, if you are looking for special occasion invitation labels, there are designs for them too. Many Printable Labels you can download with a small fee, and you should have a color cartridge in your printer to get the crisp color prints. You can get exciting Microsoft label templates for address labels from the template banks online. There are several types of label designs, some for simple official labeling, while some for special theme implementing and some are just colorful and bordered to add to the beauty. Made for an occasion or for general delivery these are easy to edit and print.